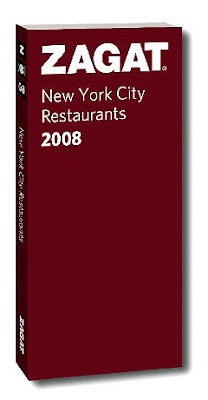 Zagats has long been famous for their uniquely detailed guides to the restaurants of big cities across the country and the world. So successful are they that in recent years they branched out to offer guides on golf courses, movies, music and shopping. Now before you start thinking that every guide Zagats comes out with is brilliant and indispensable, it’s important to remember that no one- not even Zagats- is perfect and that I'm sure if given the opportunity, there are a few ideas for guides out there that Zagats probably would want back. So remember those of you out there looking to put out guides to various things- even the best out there make mistakes.